Employment opportunities for healthcare industry professionals throughout the Southeast. For information on placing an ad please review our GAHFMA Job Bank Posting Guidelines. CES Partners has been retained to assist with the search for Vice President, Chief Financial Officer for Hamilton Health Care System, a not-for-profit integrated healthcare delivery system serving the Northwest Georgia region. The organization is a growing, well-governed and managed, financially sound establishment. Hamilton Health Care System has net revenues of over $400 Million and it is AA-rated, reflecting a very strong capacity to meet its financial commitments. The Vice President & Chief Financial Officer is a key member of the Senior Executive team and will report directly to the Hamilton Health Care System President and Chief Executive Officer. We are looking for someone who can quickly establish credibility and become a fully engaged, respected partner within the Executive Management Team and actively participate with the decision-making process, helping to drive operational and financial excellence. The ideal candidate for the Vice President and Chief Financial Officer for Hamilton Health Care System must have a minimum of 5 to 7 years of experience as an administrative leader, i.e. CFO in a small to medium-sized health system or Controller in a larger organization with a complex organizational structure and multiple operational entities. An undergraduate degree in business or healthcare administration, finance, accounting, or a related discipline is required. A Master’s Degree is strongly preferred. Certification as Certified Public Accountant (CPA) or HFMA Fellowship would also be good. With new and expanded services such as the Peeples Cancer Institute, the Anna Shaw Children’s Institute focusing on children with developmental disabilities, Open-Heart Program, GI Lab and new Hamilton Physician Group access points of delivery in secondary markets, Hamilton Health Care System has a growing and strengthening market presence in Northwest Georgia. This position will enable the right financial executive to contribute and participate with the transformation and continued growth of HHCS. As one of the leading healthcare providers in the region, Hamilton Health Care System offers a financially sound, competitive environment where personal and professional development takes place. Diversified Search is privileged to be representing Lakeland Regional Health, in Lakeland, Florida, in their search for a finance leader. This is a newly created role resulting from a restructuring of the finance division as part of the organization’s succession planning efforts. The position has responsibility for Accounting, General Ledger, Budgeting, and Accounts Payable, Payroll and Supply Chain and is one of four direct reports to the Office of the CFO. Located in central Florida, Lakeland Regional Health is a Moody’s rated “A2 stable” organization with 864 beds and over $750M net patient revenue. In 2018, LRH Medical Center had over 210,000 Emergency Department visits and is one of the busiest single site EDs in the nation. The health system employs more than 5,400 team members, has more than 650 physicians on its medical staff, and is the second largest private employer in Polk County. Lakeland Regional Health has earned national recognition, earning Best Hospital Workplace by the Florida Hospital Association in 2018, placing No. 64 on Forbes’ list of America’s Best Employers in 2016 and No. 28 in 2015, becoming one of 40 or fewer organizations throughout the world to receive a Gallup Great Workplace Award in 2014 and 2015 and placing on the list of “150 Great Places to Work in Healthcare” by Becker’s Hospital Review. Lakeland Regional Health is Regionally Ranked Hospital #22 in Florida. Rated High Performing in Chronic Obstructive Pulmonary Disease, Colon Cancer Surgery and Heart Failure procedures and conditions. · University of South Florida and Watson Clinic. · In 2016, Lakeland Regional Health became part of the Mayo Clinic Care Network expanding access to Mayo Clinic’s world-renowned expertise. We are seeking a transformative finance leader who can play a critical role in preparing for the future with the leadership potential to assume additional and expanded opportunities as they arise in the organization. The ideal candidate has 10+ years of healthcare experience and 5-7 years in a mid-level financial management role. 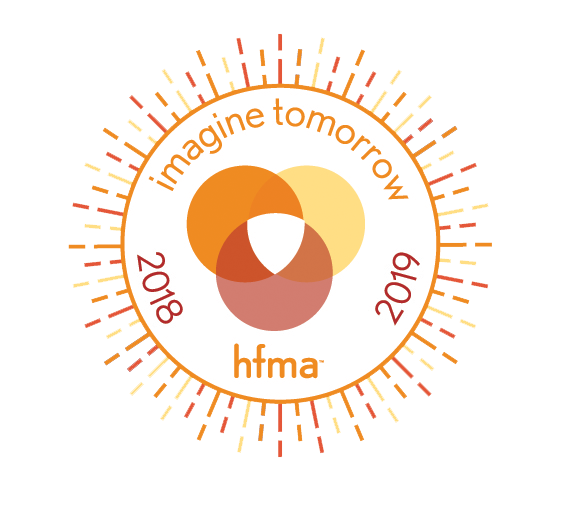 An undergraduate degree is required and a preference exists for CPA certification or HFMA’s Certified Healthcare Financial Professional credential. Experience in non-profit and for-profit health systems are relevant for this role.